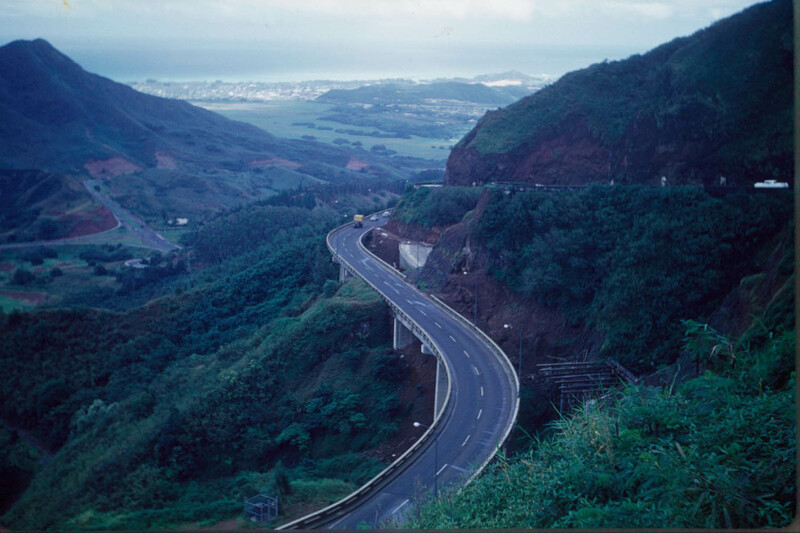 Anybody here know of any nice smooth trails to skate on in Honolulu or anywhere on the island of Oahu? Last time I was there I had a hard time finding somewhere to skate (more than 10 mph) and I haven't found much help online either. Kathie might know since she frequents the islands. Who know, maybe you can hook up with her while you're out there. She sure could use a great support team right now. i've written this up so many times... I learned the hard way, and there's a few that all stink more or less from a speedskater's perspective. I did so much research into this before i went, and even during, and on the day before the last day i was there, i emeailed my knowledgable Oahu expert and said, 'well thanks for all the help, i was just hoping there was some wide open stretch of trail like so many towns have by their airports, or something like that, but i guess there ain't, thank you very much', and he emails back, 'oh yeah, i guess the road by the airport is now opened back up after the post 9-11 high security alert was lifted, so you might try Lagoon Drive by the Airport.' Which i did, and it was ten times the trail of any of the other crap i skated for a week or more. So for speed skating, just look up Lagoon drive, and also search this website, becuase i have written about it and all the other parts i skated on Oahu at least a couple of times before. Have fun, as if anyone would have to tell you to have fun in Oahu. LOL. Thanks Online, I will definitely check that out. Chuck, Kathie said she wouldn't be back to Hawaii for another few months. Would've been nice to get a skate in with the woman who made Montreal possible for us though. Actually Mike, I'll be in Honolulu quite a lot over the next few months. I'll be there for sure at the end of August and and again at the end of September, and I'm going to be scheduling other trips. I'd love to meet if we are ever there at the same time. Since both our parents live in Honolulu maybe we'll have a chance one of these days. ... but no way would I ever try that! There are some short recreational trails on Magic Island in Ala Moana Park. The views are fabulous but the trails are short, and the park is crowded on weekends. You can't skate in Waikiki (which you probably already know and who would want to anyway) and you can't skate in the financial district of downtown Honolulu, at least on weekdays, but you are allowed to skate in most parts of Hawaii. The problem is, it often rains unexpectedly (which means we always expect rain) and there are often tiny pebbles in the street that can get caught in your skate wheels. I don't know if that's because of the frequent rain or something else, but it's a common problem. Once I skated from The Diamond Head end of Waikiki to Sand Island. The skating kind of sucked, because I was on the Nimitz Highway most of the way, but a friend and I really felt like skating that day so we did it anyway. Another time I skated through Chinatown and the historic capital district of Honolulu with Eddy Matzger and and some of the local skaters. That was really fun! But it was sightseeing and city skating, not workout skating. There is a bicycle trail in Lanikai on the windward side and one around Pearl Harbor but they are not very well maintained. There's also one from Sunset Beach to Haleiwa on the north shore that looked skatable the last time I was there. I've skated in the town Hilo on the Big Island. Those roads seemed even more pebbly then Oahu roads, maybe because Hilo is one of the rainiest spots in Hawaii. There's a lot of open highway on the Big Island but often not much of a shoulder on the road, so skating could be risky. There's a newsgroup for local inline skaters in Hawaii, but I'm having trouble finding it right now. If I can find it I will post the link here. Let us know if you find any good places to skate while you're there!